After growing up in Harrisburg, I moved to Camp Hill, Pennsylvania and have lived there since 1970. In 1967 and 1968, I served with the ground reconnaissance platoon for the 9th Infantry Division, 4th Battalion, 47th Infantry in Vietnam. There were thirty of us, divided into six squads. 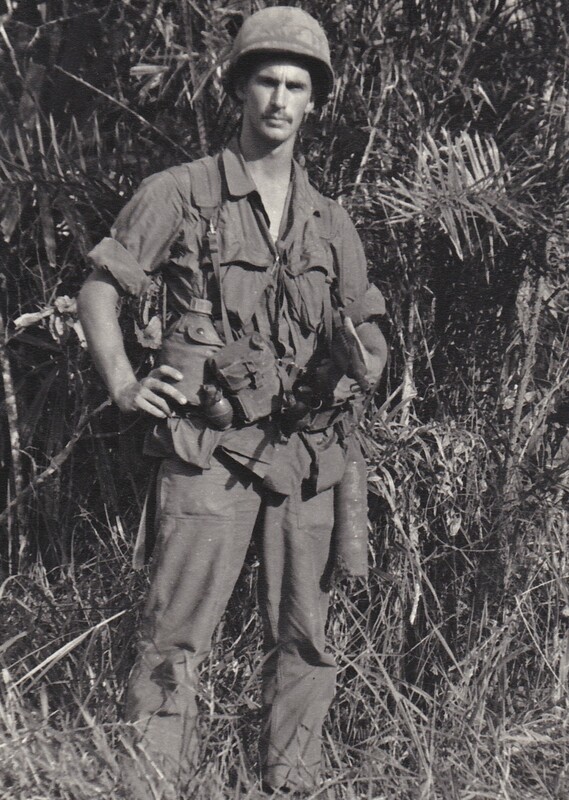 When I returned home from Vietnam, I did not talk about my experiences because most people did not want to hear about them, but I did think about the guys I had met, some of whom are still my friends. I also thought about the Vietnamese people who lived throughout the countryside because they were stuck in the middle of the war. Today, I'm more comfortable sharing my memories. On the morning of March 19, 1967, after walking all night and hacking through the jungle vegetation east of Saigon, a fellow soldier and I were observing a rubber tree plantation from a listening post in the forest. As we sat shoulder to shoulder against a tree stump, three members of our platoon opened fire on us. I was dazed and covered in blood and flesh, but it was not mine; the soldier beside me had been shot in the head and died instantly. I wonder to this day why I was the one who survived. The next month our platoon moved to the Mekong Delta. The conditions in the Delta were terrible - especially in the Rung Sat Zone, which was 400 hundred square miles of swamps, rivers, mosquitoes, and leeches. The drone of the mosquitoes was overwhelming. Armored Troop Carriers (ATC's) took us into the area and dropped us off in the mangrove swamps. We waded through mud up to our waists for half an hour until we reached a dry area where we could walk more easily. The mud was so thick that we grabbed vines from overhead to help us pull our legs from the mud and move forward. We also encountered wide streams of water. To keep our radios dry, we blew up air mattresses, and the stronger swimmers pulled them across. At night, sleep was next to impossible because when the tide came in, we had to stand against trees to stay dry and sleep. We were constantly in water, and after 72 hours, we returned to base to let our feet dry out so that we did not get jungle rot. I will never forget the weekend of Father's Day 1967. On June 18, 1967, there was a report of a large gathering of Viet Cong, and our platoon was sent out that night. After searching for a couple of hours and finding nothing, we returned to camp. 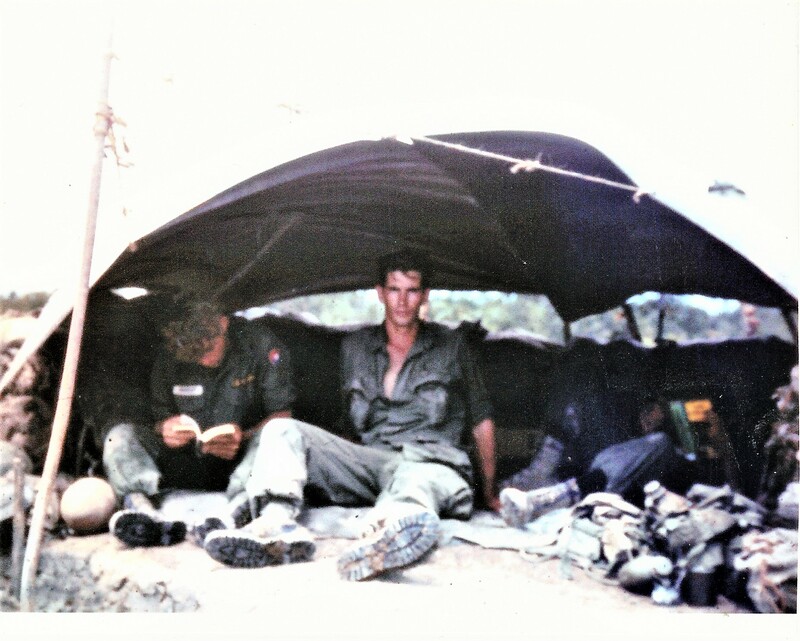 I can still see the ashen face of the master sergeant the next day (June 19) when he asked me if we had seen anything the night before - he had just received word that Alpha Company had suffered heavy losses when they were ambushed by the Viet Cong. The next morning (June 20), another soldier and I sat in an air boat, waiting for the bodies of our soldiers to surface and float down the river. Looking back at my tour of duty, I feel very lucky.